There’s a saying, “You can’t pour from an empty cup”, a well known metaphor to highlight the absolute importance of self-care. When you’re having a flare up the last thing you think about is treating yourself, as the pain over rides everything and anything you have on your to-do list. Even getting up to go to the toilet is a chore, no joke. Self care is a necessary part of anyone’s well-being, whether your’e chronically ill or not. Taking care of yourself to the best of your capabilities is vital in order to keep a healthy balance between your physical and mental health. You may think an act of self-care is something that should be earned, like giving yourself a treat after you’ve accomplished something. I don’t know about you, but I definitely start to think this sometimes. Being ill all the time makes accomplishments feel like light years away because in reality even the simplest thing like getting out of bed is an accomplishment in itself. My point is, if self-care was based on just rewarding yourself for an accomplishment that could lead to neglect because accomplishments are subjective. As a Spoonie every single day of your existence is a fight, a battle to stay positive. A warrior surely deserves a break don’t they? Don’t you worry. Snuggle up, apply your heat pads and have a cuppa whilst I take you through some Self Care ideas I put together especially for my Spoonies. I’ve always loved the idea of flowers to cheer yourself up, whether you buy a bunch for yourself or someone kindly sends you some flowers. I’m all for it, as I’m a flower child right to the core. I’ve only recently found the use of aromatherapy, and now that I’ve added it into my self-care list I’ve been enjoying it. When i’m fed up of fragrances, (which is quite often), I just choose to use it as an air humidifier instead which is also a great tool for combating the humidity we’ve been experiencing. Have you tried aromatherapy before? Why not try and add it to your self-care list. Reading for leisure is something I haven’t done in a verrry long time, quite frankly I don’t enjoy reading and I’ve always found it quite hard to concentrate and process information due to having Dyslexia. During July I decided to download the Kindle app for android, and since I had a few dollars on my Amazon.com Gift Card balance I went ahead and bought my very first e-Book for $2.62. Love a good bargain I do. I purchased an e-Book entitled, The Samurai’s Garden – by Patricia Kiyono. I’ve been self teaching Japanese for a little time now but for the last few months I’ve been lacking a lot of motivation, especially being ill all the time, most days i’m just not in the mood or simply have no energy. The book is written in English by a Japanese author about a Samurai in Japan – time set in the 1800’s, (let me know in the comments if you want me to do a separate review of this e-Book once I eventually finish reading it). If you also find it difficult to read you can choose the alternative and download an audio book to listen to, hopefully this can help to take your mind off of some of your painful symptoms or maybe it might just put you to sleep. Try it. Of course by now you’ve realised that the majority of your outfits are indeed, bed clothes. At this point literally 99% of my clothes don’t even fit me anymore as I’ve lost quite a bit of weight, also a lot of clothes have never even been worn because going out seems to be a thing of the past. So recently I thought why not buy some new Jim Jams? I prefer shorts because I always overheat at night and don’t like a lot of material on my skin, so I decided to get a top and shorts pyjama set as I find them most comfortable. ‘I LOVE PEPPERMINT TEA’! That’s what my tea cup should really say, haha. Honestly I really do love peppermint tea. Peppermint tea actually has quite a few medicinal benefits as well as tasting nice. It’s been good for soothing stomach aches, cramps, heartburn, diarrhea, indigestion and many other problems that myself and so many of my fellow Spoonies deal with. If you don’t like the taste of Peppermint you can always try another choice of herbal tea, and why not add a cheeky slice of cake to go with it as well. Go on treat yourself. Instead of going on social media, and refreshing the page for the 55th time, try having a social media break. Set some time out to watch a movie, and get some snacks to munch on whilst you have the movie playing. Do you like Documentaries? Chick flicks? Sci-fi? Comedy? Anime? Go on Netflix and search for your favourite show or film and have a movie night with your favourite snacks by your side. A big part of your diet is whatever goes inside your dosset box, seriously. Your medication box is something you’ll be seeing a lot of, so why not jazz it up? You can go full rainbow colours, one solid colour that you most favour etc. Whatever cheers you up whenever you see it. Make it cute and make it YOU! Last on my list but definitely not least is to take a trip to your local park. A change of scenery will do you a world of good and it’s definitely a good part of self care. You will most likely use up a lot of spoons taking this trip but leaving the house and getting a little fresh air will help you to rebalance and think positive. If you can’t make it all the way out to the park or you don’t live near any green area my alternative suggestion is to open up the windows in your room, stay near them and breath in as much fresh air as you can, steady breaths, in and out. I have always loved photography and taking pictures especially of nature. Whenever my Fibromyalgia and anxiety flares up real bad I can’t make it out to the park, so instead I’ll look back at the pictures I’ve taken previously. For instance the picture above that I took of Brockwell Park last year. Taking pictures of the scenery, animals and flowers is a good way to stay optimistic especially whilst suffering from chronic pain because you can always look back at them. If you can make the trip to a park by yourself then that’s awesome, if you aren’t confident enough then definitely ask a loved one or somebody close to you to accompany your outing to the park, just make sure to pack all of your essentials before you leave. If you have trouble with remembering things, maybe you could try writing your self care list down in a diary and tick it off when you’ve done it. Or you could set some alarms at specific times to remind you to have some relaxation time. So there we have it, 7 Self Care ideas for Spoonies. Thanks for stopping by, leave a comment down below and let me know what things you have on your self care list for the rest of the month? Thanks! My self care day went wonderfully. I needed to be reminded! I always feel like I don’t deserve it. I loved this! Great ideas and reminders for self care. It’s never too hot for tea. I ain’t afraid of any heatwave. 😆 Herbal tea is definitely my number one go to when it comes to self care. No matter the time of day or what’s going on, tea has a way of soothing me. Great self-care tips! 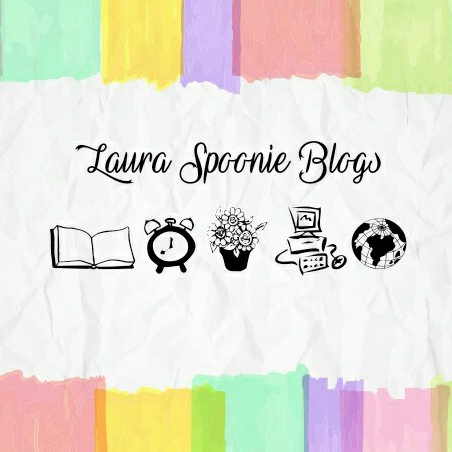 Can you define what the word “spoonie” means? I wasn’t able to figure it out from context clues, haha! Thanks for clarifying. If I don’t know what something means, I usually ask, haha.